Macau Casinos, the gambler's paradise! Macau Casinos is the Asia's premier casino destination and we'll help you in getting there. Its unique combination of famous casinos and diverse culture has never been more popular with gamblers. Regardless of whether you see gambling as a way of life or simply a rewarding hobby, there's nothing quite like gambling in the sumptuous surroundings of a famous casino. This is something ever greater numbers of Asian gamblers are experiencing for themselves. And for many, there's no better place to do so than Macau. Macau is at the very heart of Asia's ongoing casino boom. Its close relationship with gambling may have begun over 160 years ago, but the emergence of new macau casinos ensures it remains at the cutting edge of casino gambling. As a result, 'the Monte Carlo of the Far East' offers gamblers something that's unique in Asia - a thoroughly modern Macau casino experience in a city steeped in gambling tradition. 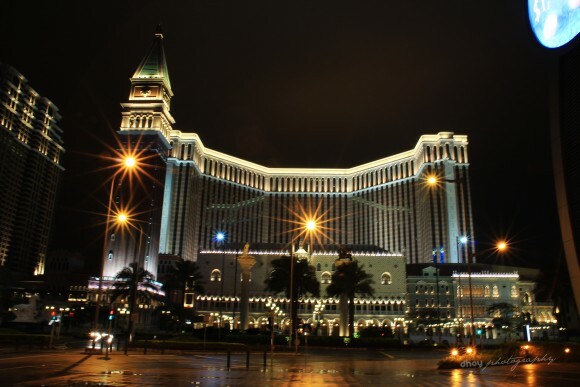 Macau currently boasts 33 casinos, spread across three distinct areas: the Macau peninsula, Taipa Island, and Cotai. The traditional home of casino gambling in the territory is the peninsula, where you'll find such casinos as the renowned Casino Lisboa. The Casino Lisboa Macau embodies the very essence of Macau gambling. Launched in 1970, it set new standards for size, style and luxury in the territory, and was instrumental in driving gambling-based tourism there. And thanks to continued expansion and improvement, and a wide range of slots and table games, it remains one of Macau's leading casinos. But it now faces competition for a new generation of casinos. The opening up of Macau's casino market in 2002 has resulted in a slew of new casinos opening in the territory, such as the Sands Macao. Also based on the peninsula, the Sands adheres to the all-inclusive entertainment principle pioneered in Las Vegas. Alongside top quality gambling it offers award-winning shows, first-rate dining, shopping and other attractions. These new Macau casinos have also been quick to set themselves up in Macau's other gambling areas, such as Taipa Island and the new Cotai Strip. Indeed, Macau's biggest casino, the Venetian Macao, is located in Cotai. Most of Macau's major casinos offer a wide array of hotel rooms, enabling those guests who wish to enjoy a longer stay the chance to rest in comfort. Nevertheless, those looking for the ultimate day trip are well catered for. Macau benefits from excellent sea connections to other major territories such as Hong Kong (getting there instruction from Hong Kong to Macau), or from Shekou, Shenzhen. And once you've arrived, shuttle busses are available to ferry you to and from the different casinos. Irrespective of whether you're there for a day or longer though, a visit to Macau is something no true gambling lover will want to miss out on!